Russia and Brazil have agreed to start moving toward using their own national currencies in trade between the two countries instead of using the dollar or the euro. The statement came at a news conference held by Dmitry Medvedev and his Brazilian counterpart, Lula da Silva, following talks in Moscow. The issue of economic cooperation was the main focus of the discussions. President Medvedev said he believes trade volumes between the two states can reach as much as $10 billion a year, even despite the economic downturn. High technology, space, aviation, peaceful nuclear program and communications are the main spheres of collaboration between Russia and Brazil. 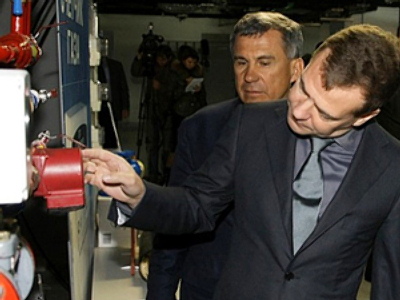 Russian gas companies participate in a lot of energy projects in the South American country. The leaders discussed how that kind cooperation can be improved. With the crisis showing that dollar and euro are not reliable, the two presidents discussed the possibility of switching to national currencies. 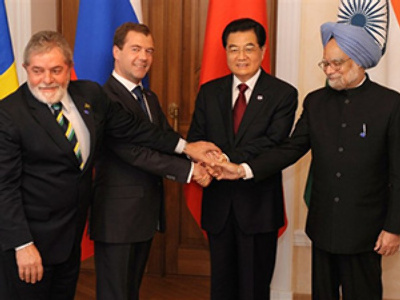 Russia and Brazil are both members of the BRIC group of “emerging economies” – Brazil, Russia, India and China – as well as the UN and G20. Medvedev and his Brazilian counterpart discussed the idea of G20 being institutionalized and provided with enough tools to be able to influence the global economy. Journalist Pepe Escobar says the trade in national currencies is the key to improving trade relations between the two nations. “In fact they need to improve the trade relations and there are many ways of doing it. They are going to sign a lot of technological agreements, scientific cooperation agreements. And also they are going to discuss something very important – improving trade means making it easier for both sides and this means not trading US dollars any more – trading their own currencies. This means the [Russian] rouble and the [Brazilian] real,” the journalist noted. “This is a significant step further [in relations]. This is an economically important trip and a politically important trip as well in terms of closer cooperation within the BRIC and attacking the unilateral framework which is still defined by the US and the big European powers,” Escobar concluded. Apart from economic issues, the two leaders also discussed “top international issues, which concern security on a regional and global scale." Peace in the Middle East and the Iranian nuclear program were among the topics on the table. The president of Brazil will head to Tehran to try to persuade Iran to cooperate with the international community. Medvedev said he thinks it might be the last chance for Iran to be change the situation before the UN Security Council decision. President Lula da Silva said he’s optimistic about the upcoming visit. However, the Russian leader has judged his chances of persuading Iran to be quite moderate. Anna Protsenko from the Latin American Institute at the Russian Academy of Sciences believes that the Brazilian position concerning Iran is very healthy and useful. G20 meeting – helpful or just a waste of time? 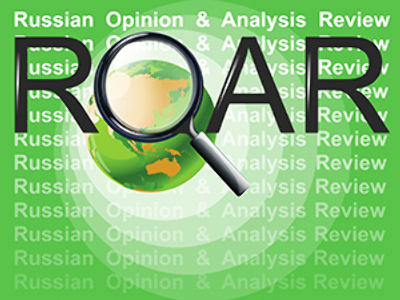 "BRIC summit has revealed the vast potential of the four-sided dialogue"